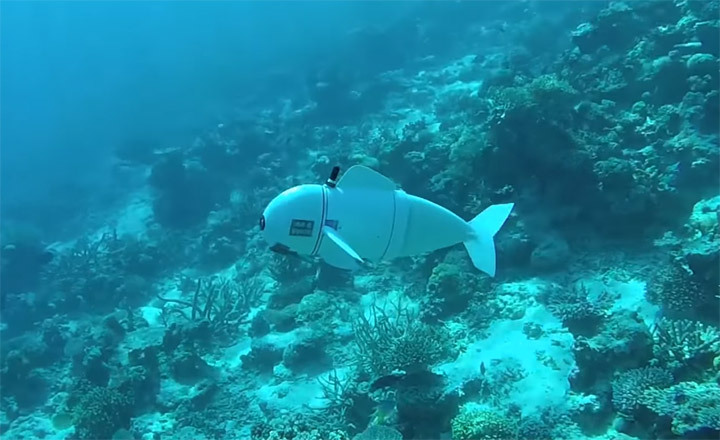 Robots are not only meant for land, their technology can be used even to explore underwater. The robotic fish by the MIT is the perfect example for it. To provide close-range, minimally disruptive observations of all the fascinating and adorable animals that live underwater, the MIT roboticists Robert K. Katzschmann, Joseph DelPreto, Robert MacCurdy, and Professor Daniela Rus has made the Soft Robotic Fish in short SoFi. 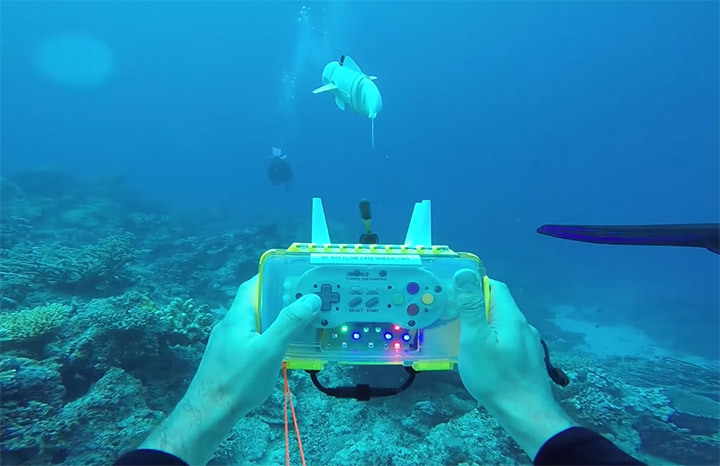 With a camera equipped on its front, its housing is made from molded and 3D printed plastics and has got a built-in buoyancy tank full of compressed air that means it can adjust its depth and linger at specific points in the water column. The custom control system, uses coded audio bursts to transmit instructions from a human operator. 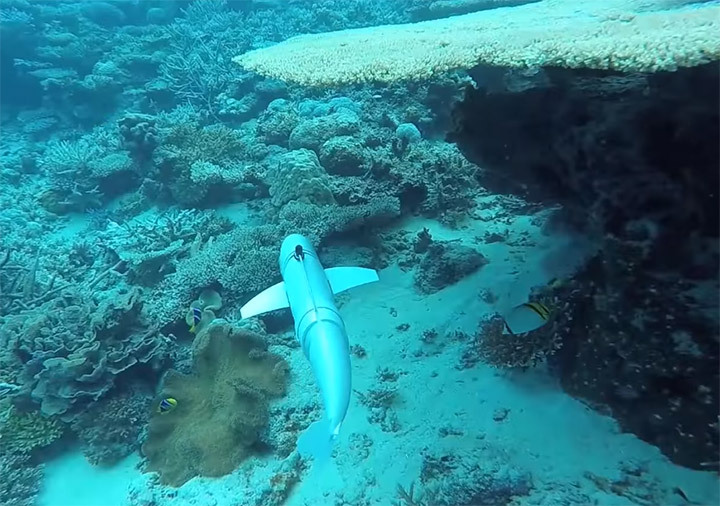 SoFi is remote-controlled and divers can pilot the robot fish from almost 70 feet away. Steering it left right, up and down, using a modified SNES controller. SoFi will swim alongside other fishes closely observing their behavior and collecting the data without disrupting their course.